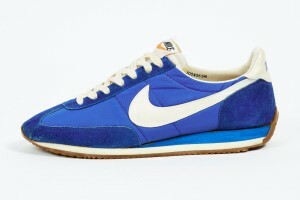 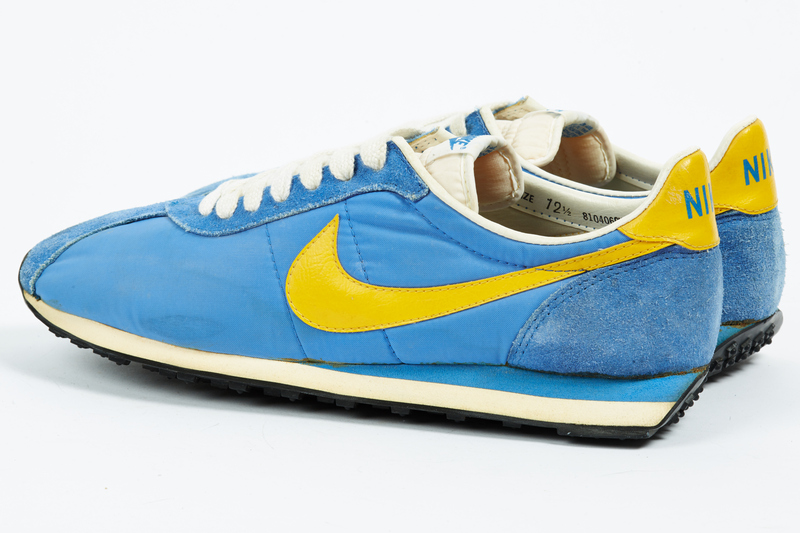 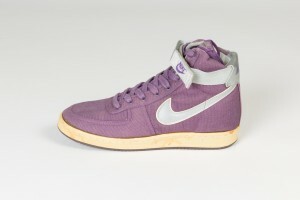 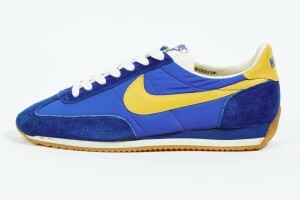 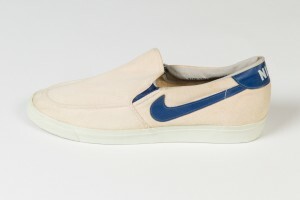 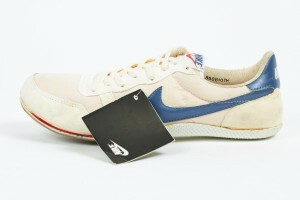 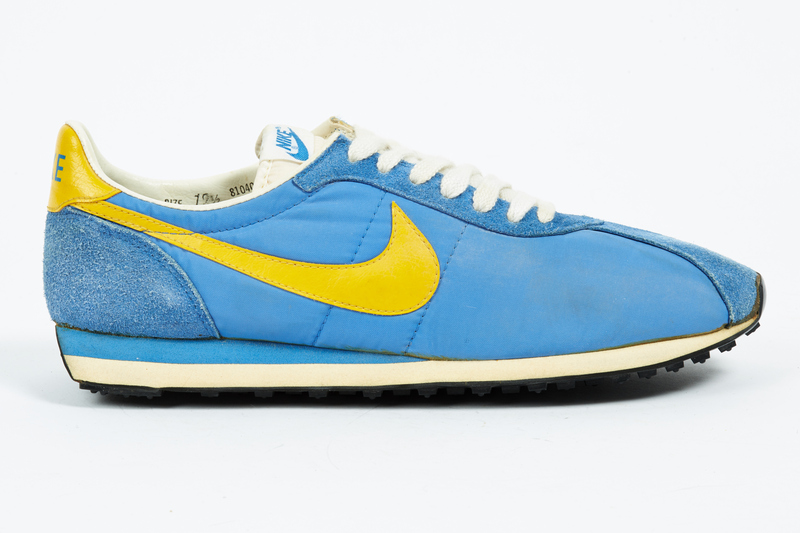 The previous model to the 1974 Waffle Trainer was a very functional shoe. 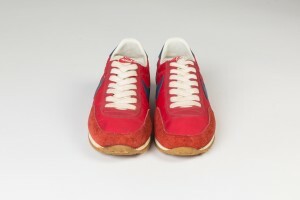 By improving it and making minor changes more suited to training resulted in the Waffle Trainer. 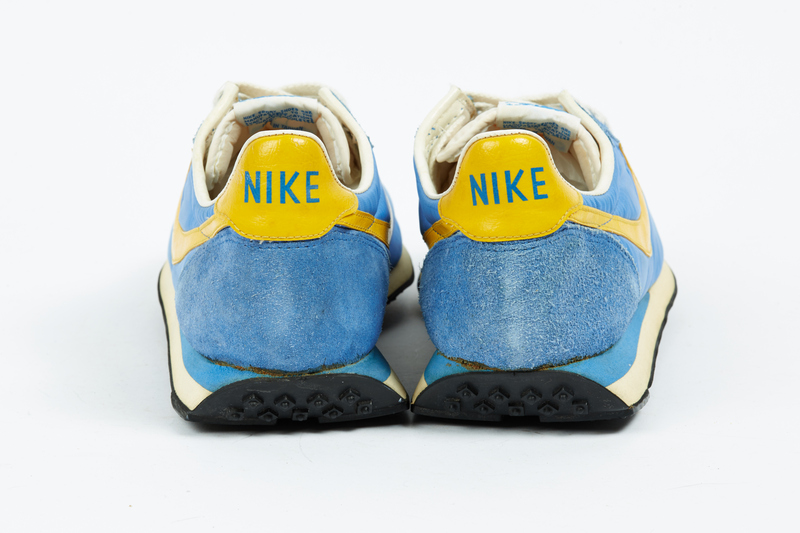 The toe is renforced with sewn on suede and by spreading the midsole out toward the end, the shoe gained more stability, The completed shoe became so popular in the market and spread the Nike brand waffle throughout America. 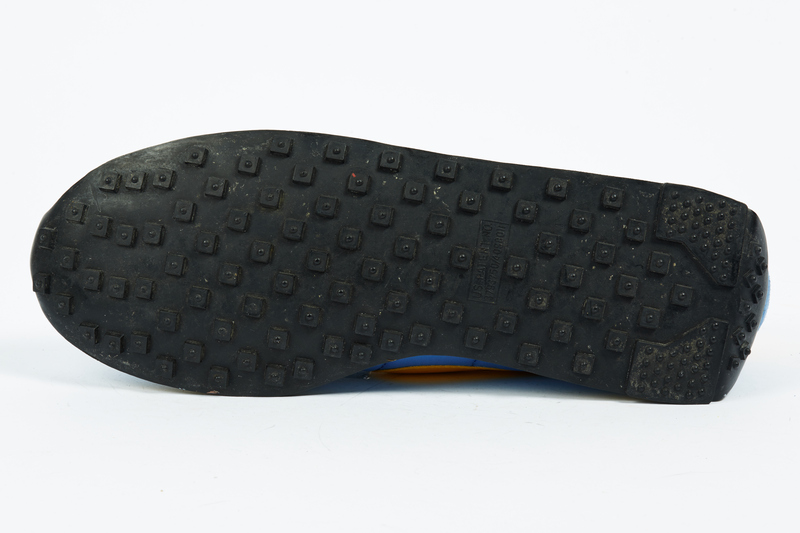 Those who had doubts about the waffle sole in the beginning could no longer find any complaints. 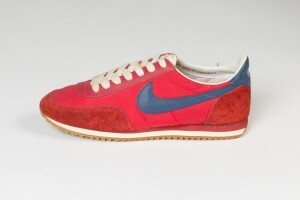 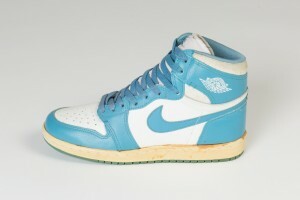 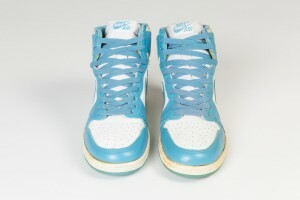 When released, the coloring was standard; a white Swoosh design on a red base. 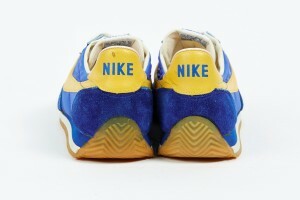 However a year later the coloring was changed to yellow and blue, reminiscent of UCLA. 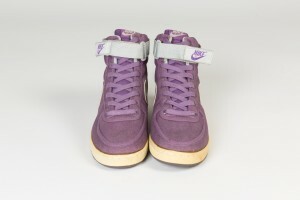 This color was a great success. 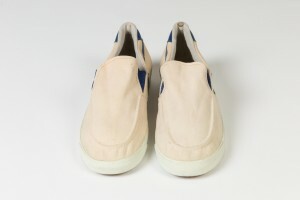 Color combinations that defined waffle trainer just by a glance were highly effective in enhancing Waffle Trainer’s recignition. 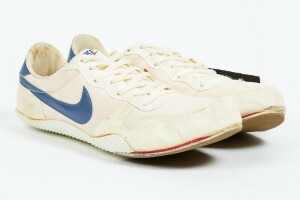 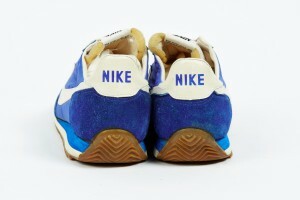 Around this era, Nike starts to color their running shoes with various combinations.